To Serve & Protect the Lives and Property within our Community. 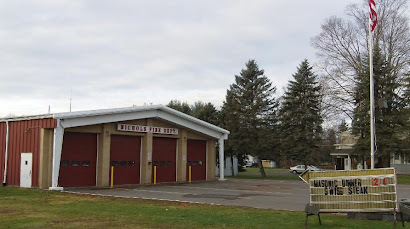 The Nichols Joint Fire District and Wappasening Hose Company proudly protects an area of 34.21 square miles within the village & Town of Nichols, New York. We operate out of one station that protects a primarly rural area. Our department is a public department whose member are on a all volunteer status. 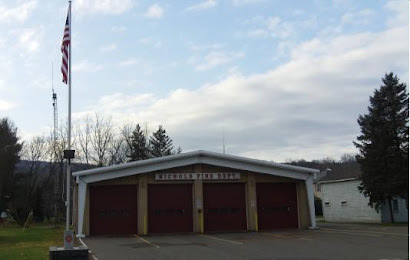 Located about 30 miles west of Binghamton in New York's Southern Tier area, the Nichols VolonteerFire Department provides Fire Protection & Rescue, EMS, and Fire Police services to a combine Village and Town fire district. Organized in 1908, the Nichols VolonteerFire Department is an all-volunteer organization. 2012's Fire Prevention Week Theme! Fire Prevention Week for 2012 will be held October 7th - 13th, and it's theme this for this year is "Have 2 ways out!" In 2008, home fires killed 2,755 people and injured 13,160. Two of every five home fire deaths were in a home with no smoke alarms and another one in five was in a home where the smoke alarms were not working. The reality is that when fire strikes, your home could be engulfed in smoke and flames in just a few minutes. This year's theme aims to educate how it is important to have a home fire escape plan that prepares your family to think fast and get out quickly when the smoke alarm sounds. What if your first escape route is blocked by smoke or flames? That's why having two ways out is such a key part of your plan. Having working smoke alarms can cut the chances of dying in a fire in half. The theme will also focus on how to choose, install, and maintain smoke alarms. NFPA has taken the lead in public fire safety outreach by serving as the official sponsor of Fire Prevention Week for 88 years. The annual public awareness and safety commemoration, which is proclaimed by the President of the United States each year, is observed by fire departments in the U.S. and Canada to mark the anniversary of the Great Chicago Fire that occurred on October 8th 1871. According to the National Archives and Records Administration's Library Information Center, Fire Prevention Week is the longest running public health and safety observance on record. Fire Prevention Week is held every year durint the week of October 9th. This year’s theme,“Have 2 Ways Out!”, focuses on the importance of fire escape planning and practice.